If you are like most of us, the internet is an amazing place to wander, looking for information, fun, or anything else you really desire. But as we all hear about in the news, on websites, and even from the next-door neighbor, there are many things lurking in the weeds of the internet, ready to take your information. While this is true to an extent, most of the major places we go, such as Google.com or Amazon.com, do a very good job of keeping malicious code from ever gaining a foothold. But the same way that remembering to lock your doors reduces your chances of a robbery, following safe browsing practices can help you out a lot too. If you are on your cell phone reading this, you are probably using Chrome or Safari. If you are at your computer, you have a 30% chance of being on Chrome or an 18% chance of using Internet Explorer (IE) 11 on your Windows 7, 8, or 10 PC. Chrome, like some of its competitors uses add-ons that can be made by third party developers to help make browsing on the internet more fun, or safe. For many, the choice browser is what came with the system. For others, it is about how it “feels” when they use it. I personally base my decision on how safe is it to use, and how often is it updated. Chrome, Firefox, Opera, Vivaldi and Edge are updated and iterated on a regular basis to deal with threats and browser code issues. IE and Safari have a slower process of updating than their compatriots; this means program compatibility is maintained, but they do leave more vulnerabilities than their fast updating brethren. 1. HTTPS Everywhere: Was developed and is maintained by the EFF (Electronic Frontier Foundation). It forces any website that is capable, to run in a secure form (HTTPS), rather than unsecured (HTTP). 2. Privacy Badger: Also development by the EFF, it is a secondary blocker designed to catch ads and trackers that do not offer user consent to being shut off or blocked. It prevents them from ever running, which cuts down on things that might be forced upon you without knowing it. 3. 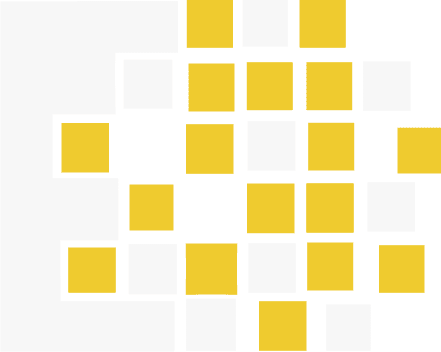 Ad Block Plus: Developed by the company Eyeo GmbH. The intent is to make the internet a cleaner place to do business with advertising that is non-intrusive. When setup even in default mode, Adblock Plus screens malware riddled domains, banners, pop-ups and videos from running, making your trip to your favorite news website a much more pleasant experience; this makes it well worth a donation of a few bucks to support them. 4. Ghostery: One of my all-time favorite finds; this blocks over 2000 cookies and trackers on the web. You can allow or deny very specific trackers so that one needed (by something such as your bank), is allowed only on their website, but can be locked down (on Pintrest, for example). 6. Last-Pass: A cloud based password keeper, allows you to store the credentials of websites you visit in an encrypted format. This allows you to log into them later with single click, or even automatically. This means you never need to worry about a Keylogger finding your passwords if you get infected. Updating your “master key” (password), and using 2-factor authentication means your information is as protected as it can be. Do you want complex passwords and can’t figure out how to make one? Lastpass will auto generate a password for you if you want it to. Now, I know you are all wondering what else I use, and that is simple: The Amazon Wish List button and the Adobe Reader add-on. I keep it very simple. This last category is really the important one for anyone wanting to browse more safely online. Much like knowing which neighborhoods should be avoided after 2am, the same goes for browsing online. Yes, bad things do happen on even major and well maintained websites… but a lot less than elsewhere on the internet. Most of the time, malware is delivered through on-line ads or redirected links, rather than surfing a less-than-reputable site. As Smokey the Bear is fond of telling us “Only you can prevent forest fires.” The same can be said for the web “Only you can pick the websites you visit.” Taking control through the Add-Ons out there, making sure you use an endpoint security program (Microsoft EMET10, if on a Windows PC), and most importantly, updating your computer and its software regularly are all good ways to keep you safe. CCNY Tech is a leader in IT Asset Disposition & E-Waste Disposal and offers a huge inventory of new, used and refurbished IT equipment. CCNY Tech has been in business since 1988 and has built many long term relationships with companies, universities and other organizations by providing great value and outstanding customer service. 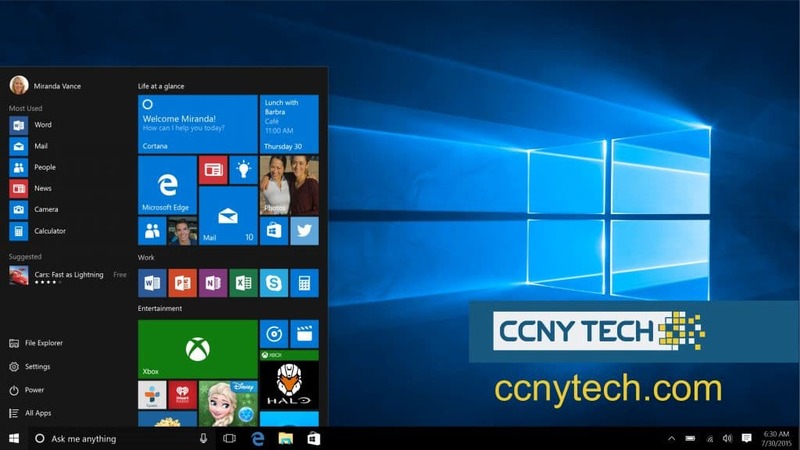 Call CCNY Tech at 1-800-566-4786 or fill out the Contact Us form to learn how we can improve your IT requirements. We’ve all been in the position of purchasing something and then returning it. Maybe you bought something and it wasn’t quite what you thought it would be, or maybe it wasn’t working right – so you send it back. So what happens to when IT equipment gets returned? When it comes to technology, like PC’s and computer hardware, chances are that it is put back on the shelf (if it is fully functioning), and then sold at a lower price. Because of this, most of these items are in great shape and make for great IT purchases. Manufacturers test the products when they are returned to make sure that they work like new. Of course, you need to be careful and use good judgment when purchasing used or refurbished products. With a little “common-sense” shopping you can find like-new products for a much lower price. When a PC is returned, it is easy to restore it to an almost-new state. Vendors go through rigorous testing to find the initial problem and fix it. Hard drives are wiped, operating systems are re-installed, and the system is tested and verified again. Legally, it cannot be called “new” and therefore it must be sold at a discount. That’s why it can be a great way to buy IT! Some refurbished PC’s are actually brand new, and were never taken out of the box. “New-in-box” refurbished purchases are some of the best deals that you can find. If the product was not used but the packaging was opened, it’s classified as refurb and the next customer gets a bargain. If you are looking for a computer to run basic applications, like web browsing and word processing, buying from a reseller can be a great option. Because you are not looking for anything too complex, you can have your choice of brands and save some money! Are you trying to cut back on your spending budget for your IT needs? Buying refurbished can easily solve this problem. Some companies and individuals don’t want to spend a lot on a PC but still want like-new performance. Refurbished products are always tested and restored to full working condition. Just because you spend less on a product does not mean that it will be of lower quality. 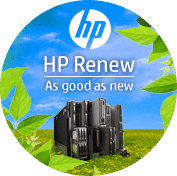 Buying refurbished is also a greener option. Many companies are trying to be more eco-friendly, and using a recycled or refurbished product is a green alternative. You’re extending the life of an existing computer and saving the resources that would be wasted if it was thrown out. Does their used networking equipment come with a warranty? Be sure that the equipment supplier has some sort of warranty in place; this means that your product is guaranteed to work upon installation, and after. Ensure that the coverage would meet your expectations and ensure your satisfaction in the product. Do they offer a network hardware replacement program? Any reputable vendor with faith in the quality of their product will also offer a replacement program. As a consumer, you deserve the insurance that your hardware will last. 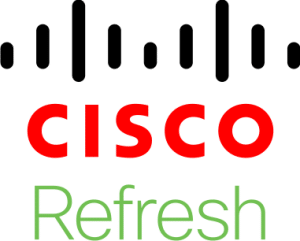 If the vendor doesn’t provide some sort of replacement offering, that could be an indication that they do not believe in the quality of their refurbished networking hardware. In today’s world, if pricing seems too low, chances are – you really need to be careful. “Too cheap” is a good indication that you could be dealing with counterfeit products. It could have been reproduced after hours in some Original Equipment Manufacturer’s factory – with serial numbers replicated. Make sure you are buying from a company who is a member of the Association of Service and Computer Dealers International and the North American Association of Telecommunications Dealers OR has an Anti-Counterfeit Policy that they stand by. How do they handle the equipment? Electrostatic discharge (ESD) is the sudden flow of electricity between two objects caused by contact, an electrical short or dielectric breakdown. ESD can be caused by a buildup of static electricity by tribocharging, or by electrostatic induction. It happens naturally – all the time…But when it happens to electronic equipment, there can be problems. Vendors you purchase from need to have an ESD-protected environment, or stations in which ESD pads are used. Even the smallest electric charge can wreak havoc on equipment and damage technology to a point where it is defective. Look around before you commit to a purchase. If you have a tight budget, buying refurbished is the best way to go. Refurbished computers and hardware have been carefully tested and inspected by professionals. If you get a refurbished product from an authorized reseller, you’ll know it’s in good working condition. 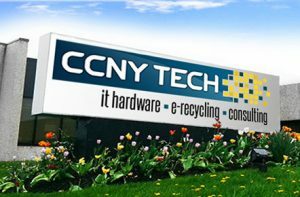 CCNY Tech is a systems integrator, reseller and certified electronics waste recycler of IT networking & security hardware. CCNY Tech has the knowledge and product base to increase the security posture and enhance the efficiency of your network. They have been able to design, configure and implement custom solutions to fit our customer’s network architecture using the latest hardware based technologies. If you have any questions, give our team a call at 315-724-2209, or visit our website at ccnytech.com. Say your system is down, or you need a component, fast. If you call an IT company that understands your equipment and your network, you’ll get up and running quickly at the best possible price. Unfortunately, choosing a top-notch IT partner can be stressful if you aren’t sure what to look for. If you keep these three IT quality characteristics in mind the next time you talk to your usual technology supplier, it will be easy to determine if they’re the right IT partner for you. The chances are that the longer your IT supplier has been in business, the more they’ll understand how to adapt current industry standards to your network. We look to at least 5 years as a minimum. It’s the experience that allows your partner to design, configure, and implement smart and cost effective solutions to fit your unique network architecture. This brings me to your second consideration. Is your IT partner creative? By creative, I mean are they bringing different ideas to the table. For example, if you are working on a simple request for quotation, do they suggest other options or easier networking solutions? If not, are they really acting as your partner? To be fair, sometimes giving a customer too many options creates confusion. But keep creativity in mind as you request quotations. You’ll get an inside look as to whether or not your supplier can add value for you. You’ll also learn to stay away from suppliers you discover are just inexperienced order takers, who may have the right part, but add very little to your solution. The third, and perhaps most important aspect in choosing an IT partner, is trust. I hesitate to state the obvious, but if you catch your IT partner in a lie, you should get rid of them. Your information technology is too important to your business to give second chances to suppliers who aren’t truthful. They’ll cost you time, money and aggravation. We understand that it’s natural for companies to go about doing business with little thought about their IT infrastructure until it goes down. 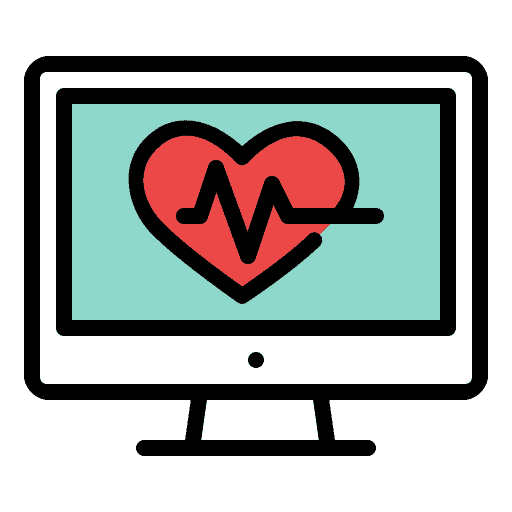 Consciously keeping in mind these three elements to evaluate your tech suppliers—who you might need to depend on in an emergency—could save you a ton of headaches in the future. Call us at CCNY next time you need a component or have a question about your information technology. 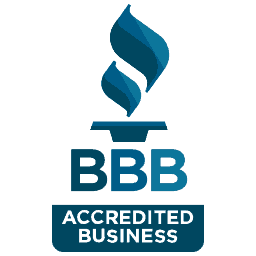 We think you’ll find us an experienced, creative, and trustworthy partner. Call 1.800.566.4786 today! The computer has become an integral part of our day to day lives. Now imagine that you are using your computer to pay bills, surf the web, or even type that report that is due in a few days. Suddenly – BLUE SCREEN OF DEATH, and your computer crashes. Your hard drive is shot, and everything that you have ever saved in the lifetime of that computer is lost forever. Are you prepared for something like this to happen? Is your data backed up? One question that we IT technicians get asked on a regular basis is, “How do I backup my data?” Before we get into the nitty gritty, you must ask yourself, “How do I want to backup my computer?” This is an extremely important question because, as a user, you need to identify what is most important to you; is it just your files? Maybe it’s your files and applications! In most cases, there are two different methods that you can use to backup your computer; a user can either do a file backup or a full image backup. Each method has its pros and cons. The average person will most likely do a file back up. This includes the pictures you took of your cute puppy, the video of your child taking their first steps, a copy of your resume, or anything else that you may hold dear to your heart. Essentially, it protects anything that you have created or downloaded, and saved. The method to do a file backup is fairly straight-forward and by the time you get done reading, you will learn how to ensure that your files are being backed up appropriately. Some people may need the second method of backing up their computer, called an “image backup”. 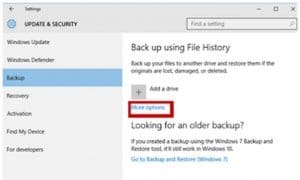 An image backup is especially useful for anyone that wants their computer to be restored to exactly the way it was before the computer crashed. One thing to keep in mind when creating an image backup is the size of the file. Because of the amount of information you will be storing, the backup will be far larger than a “file backup”. In this post we will be covering how to do a full image backup. If you are interested, you can find software that is capable of image backups such as Acronis or Retrospect. • External Hard Drive that is approximately 1.5 to 2 times bigger than the hard drive that is currently installed in your computer. 1. The first thing you should do is plug in your external hard drive and make sure that it is recognized by your computer. 2. Click the start button in the bottom left hand corner of your computer and click “Settings”. 3. 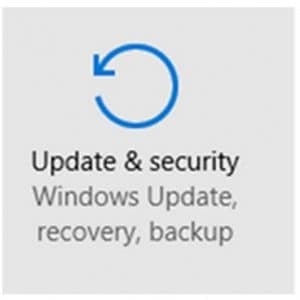 Once in the settings, click “Update & Security,” then click the backup tab on the left. 4. 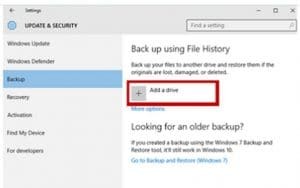 In the back up option you are going to add a drive to back up to by clicking “Add a Drive”. You will then be given a list of drives to backup to. Pick your external Hard Drive from the list. 5. Once you have selected the drive, everything by default is selected to be backed up every hour and it will be kept forever. If you would like to make any changes to customize your backup, click “More options”. You will be able to change how often your computer is backed up, or add another folder to be backed up. Well, it’s Valentine’s Day again, and that means it’s time to show some love. Not sure who your real Valentine is this year? Think about who you want to spend your time with during the day; who makes you laugh and keeps you company throughout your week? Think about who makes you want to learn new things and who is always there for you with the big life choices. It’s okay, we love our computers too. So, show your computer some love with some general maintenance and cleaning to keep your relationship long lasting. Remember the first time you two met? It was magical and you knew it was love at first sight. You had many great experiences together, holding tons of memories for you and with you, performing well at the job. At that moment, you wished all great things could last until the end of time. We’ve all cleaned our monitors and dusted our keyboards, but how many of you consider cleaning the inside of your computer? While it might not seem like an important task, it can help ensure its longevity, and save you money in the long run. Ignoring this kind of maintenance could lead to problems down the road, like overall computer failure. Dust particles can wreak havoc on your machine, frying some of the most important processing units. Whether you have a laptop or desktop; lint and dust can clog the fans and cooling vents, which could cause it to overheat. Once a machine overheats, the internal components have a higher chance of failing. Cleaning your computer regularly can increase performance and extend the life of your machine. • Check manufacturer’s warranty information; be sure that taking apart the computer will not void the warranty. • Ensure your computer is turned off and disconnect from the power source. • For desktops, usually there are two or more small knobs/screws/buttons that hold the side panels onto the tower, press or turn to remove them. • For laptops, turn the computer upside down, remove the battery (if not already done so), remove the panel that is affixed with screws. Most laptops have vents grouped together for easy cleaning. • Once you have access to the inner workings of the computer, try to touch as little as possible. Look for dust bunnies and debris, take tweezers and carefully remove from the computer. • Blow compressed air throughout and around the components and along the bottom of the case, keeping the nozzle about 5 inches away from the machine. Be sure to blow air around the power supply as well as the fan. • Remember, when blowing the debris; try to blow away at an angle and not further into the crevices. • Be delicate with the fans, putting too much pressure on the fans could result in a crack in the blade or damage in the bearings. • It’s advised to use short bursts of air rather than long steady streams. Holding the fans with the tweezers will also ensure a safe cleaning. • If there are floppy disk drives, CD drives or other ports – blow a little air into them, slowly as you did before. • Once you have fully inspected and cleaned the inside, take a damp cloth to the inner sides of the panels prior to replacing. And just like that, you’ve just increased the life span of your computer. In that moment, you realized that it was not difficult to love your computer again. Now maybe you should give your computer a nice “card” to celebrate the special day. Give us a call at 1-800-566-4786 or contact us about how we can help maintain, replace or recycle your fleet of computers and servers. 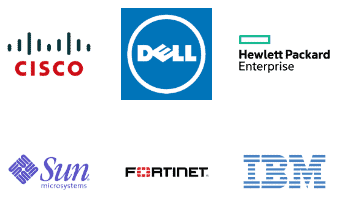 Our team of engineers and experienced sales staff can help you to meet all of the IT goals of your organization. CCNY Tech has been in the IT hardware sales, maintenance, and recycling business for over 25 years. Our company is constantly trying to adapt its practices to better meet your needs. So, we have taken some time to revamp our website and reboot our blog to bring you the latest in IT news and solutions. We have some of the most knowledgeable technicians at our fingertips and we think you should have them close by too. Our recent website updates have been to improve navigation and increase ease-of-use. We have added a live chat feature and contact forms to encourage communication with our customers. You will now have the opportunity to speak with real people about real IT problems! We love hearing from you and being there for any tech question or project that you might face. We hope that this blog will be another platform to reach out to you with information about your home or office network. Our department specialists will be bringing you blogs each week, touching on some trending topics and helpful hints. Our goal is to teach you about which IT products are right for you and how to best maintain your equipment to extend its product-life. We want to bring you current IT trends, as well as practical knowledge about your network infrastructure and security. Because our IT professionals cover everything from installation, to repair, to end-of-life recycling, we know our products inside and out. We will be updating you with custom configuration options as well as brand and generational comparisons. We also have a Youtube channel where we post unboxing and installation videos for some of your favorite networking gear. Check us out at www.youtube.com/ccnytech! We would also love to know what you’re interested in! Send us an email at info@ccnytech.com with any questions or special blog requests and we’ll get back to you as soon as possible.